If and when I get my own house I'd probably fill it with these chairs. That way all my nerdy friends would know I've got better places to rest my bottom then what they have in their Mom's basement. 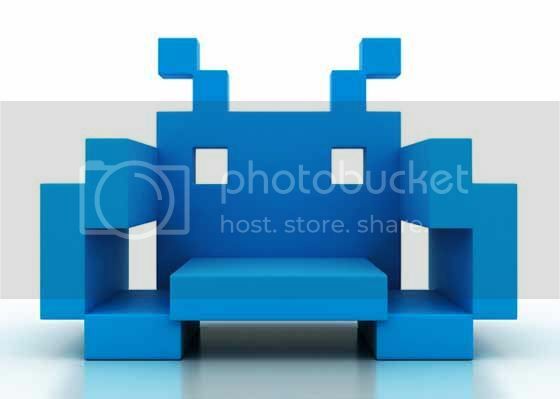 I'd probably create couches and sofas out of these designs too just for the heck of being so geeky, that is if my wife would ever let me decorate the house. 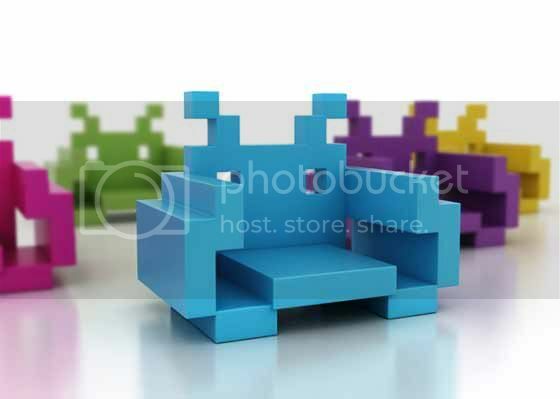 I know I posted another space invader chair a couple months ago but the colors on this concept designs are far better than what we've seen before. One more shot after the break.